HTC announced two new phones in their midrange Desire line today. While the chassis of the devices are not constructed of the premium materials present in the One line, they are both beautifully made and follow some similar design cues. 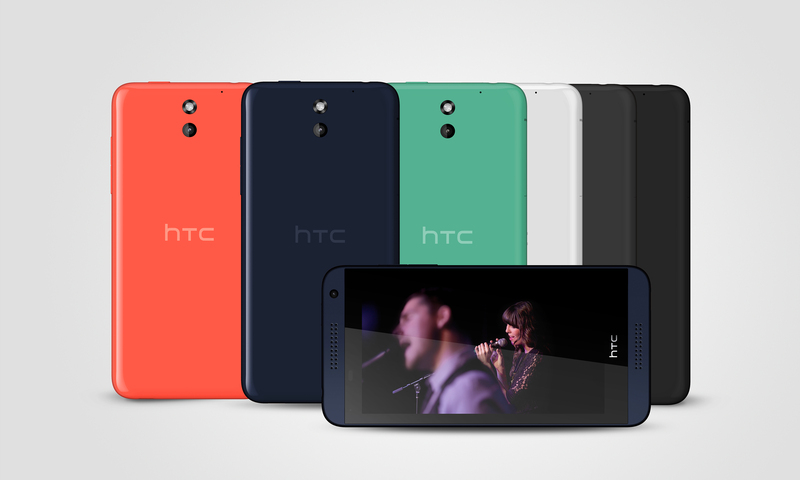 The HTC Desire 610 will feature a 4.7″ qHD display and Boomsound front facing speakers. Under the hood, a quad core Qualcomm Snapdragon 400 clocked at 1.2GHz and a gig of RAM are solidly midrange. The 610 will only have 8GB internal storage however this is expandable by micro SD up to 64GB.Front and rear cameras at 1.3 and 8 megapixels respectively will both be able to capture video in 720P. A 2040mAh Li-Pol battery, which won’t be removable, will power the device. 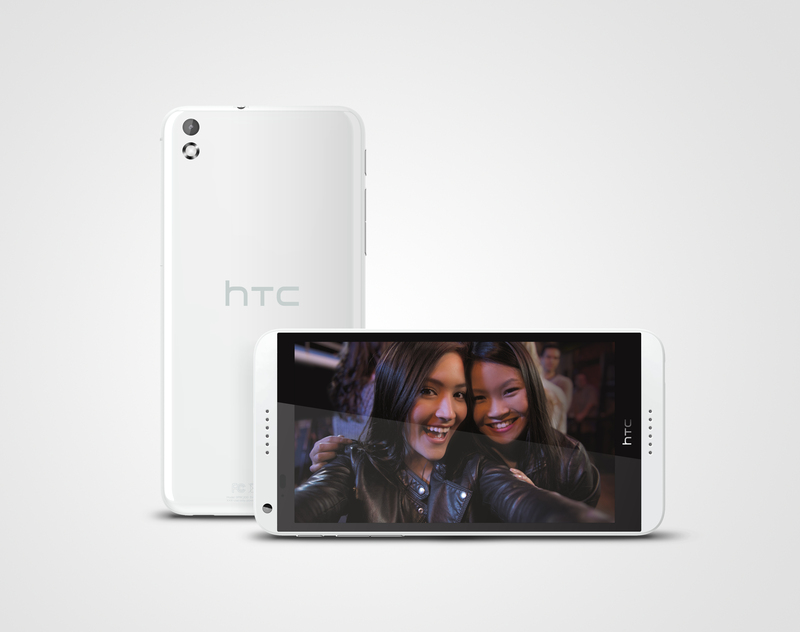 The larger HTC Desire 816 is a bit more powerful than it’s little sibling. Although it sports the same Boomsound speakers on the front, the display has been bumped up to 5.5 inch 720P display. The Snapdragon 400 gets a boost in clock speed up to 1.6GHz, while the ram is bumped up to 1.5GB. The camera sensors are also improved, with a 13 MP rear shooter with 5 MP on the front. The front camera still shoots 720P video, however the main camera is capable of 1080P recording. Likely due to the larger size of the phone, the battery is larger at 2600mAh. 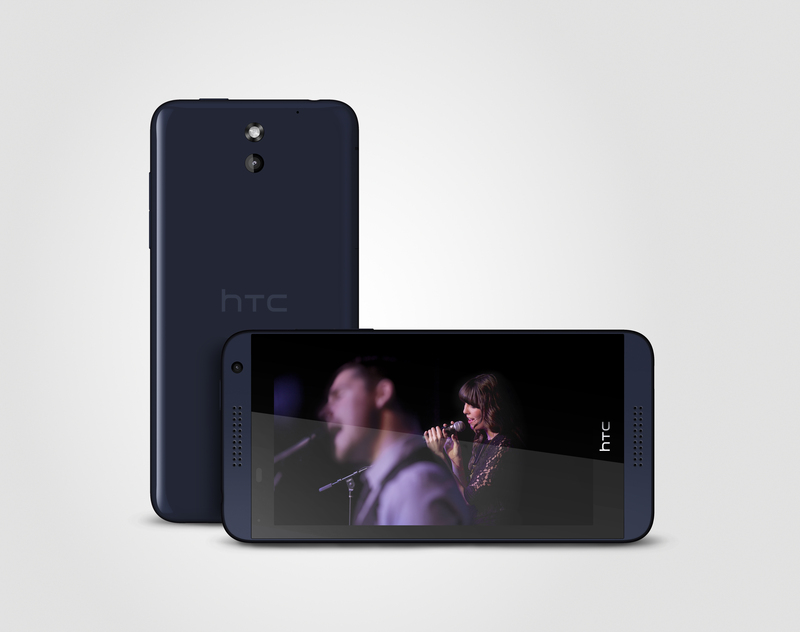 Onboard storage is the same as the Desire 610 with 8GB onboard and is still expandable to 64GB via micro SD. While both of these phones are midrange offerings, the build quality appears quite solid. I’d expect nothing less from HTC on this front. Having a choice of colors available won’t hurt either. As much as I hate to compare Apple and Android, I’d be lying if I said the 610 didn’t remind me of the iPhone 5c (see photos below). Offering the premium features many enjoy in the One line, such as Boomsound front facing speakers and Blinkfeed, at a much lower price point will allow people who don’t want to spend premium money on a smartphone to get awesome features at a more attractive price. While there isn’t any US availability information I can’t wait to have some hands on time with these units. It will be great to see what HTC can deliver to their midrange target user base.